The best free Amazon Affiliate theme double up your sales and conversion rate. 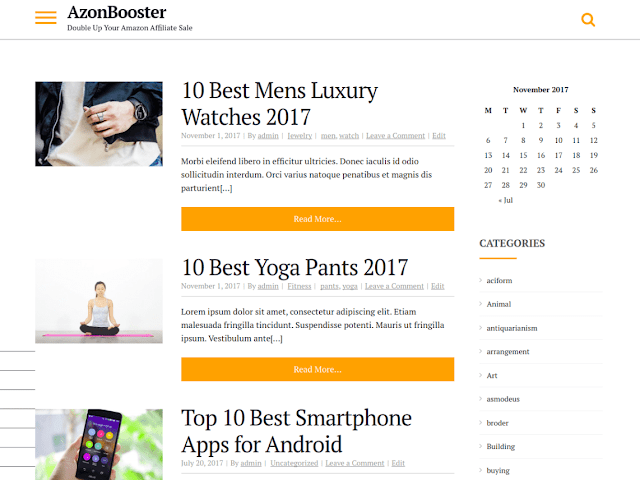 AzonBooster is a fast, lightweight, mobile responsive theme built with speed, SEO friendly, and usability in mind. AzonBooster can serve as a solid base for any website and works great with any of your favorite page builders. With an emphasis on WordPress coding standards, we ensure AzonBooster is compatible with all well-coded plugins, including major ones like Amazon Associates Link Builder, EazyAzon, WPML, BuddyPress and bbPress.